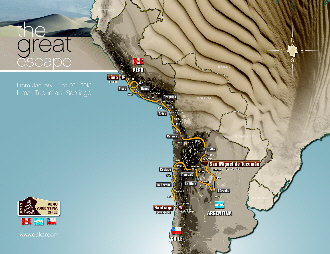 The technical and administrative scrutineering of the 2013 Dakar is in the district of Magdalena and Chorrillos place on the Pacific Ocean. In the district of Magdalena Lima host with its Spanish atmosphere of Parc Ferme will be established. Here are the vehicles for the start and the Dakar Village. There, the public at up to one million people are expected, according to organizers, experience the rally-like atmosphere with the drivers. On 5 January, the participants of the rally will start at the ceremony in Chorrillos for the first time at the center. Before they put a nine-kilometer stretch of beach in Magdalena in "fishing area" back. Then the biggest rally adventure begins with a journey through the dunes of Peru, the Atacama Desert of Argentina and then to run into Chile's capital Santiago. 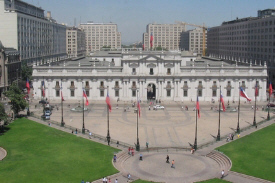 The fifth edition of the Dakar Rally in South America has changed and your route starts in the capital of Peru, Lima before the Government Palace "La Moneda". New is the start date that is no longer traditionally on 1 January, but on the 5th January has been changed. After launching it's first time in the history of the Dakar once in the desert. After crossing the border into Argentina, we continue over the Andes before the rest day on 13 January in San Miguel de Tucuman inserts. After the rally going into the second half until on 20 January in Chile, are in the country's capital Santiago, the checkered flag for the participants. In Peru: Start up 5 stages. Here are the biggest dunes on the continent are waiting for the participants. In Argentina: 5 stages plus closed. 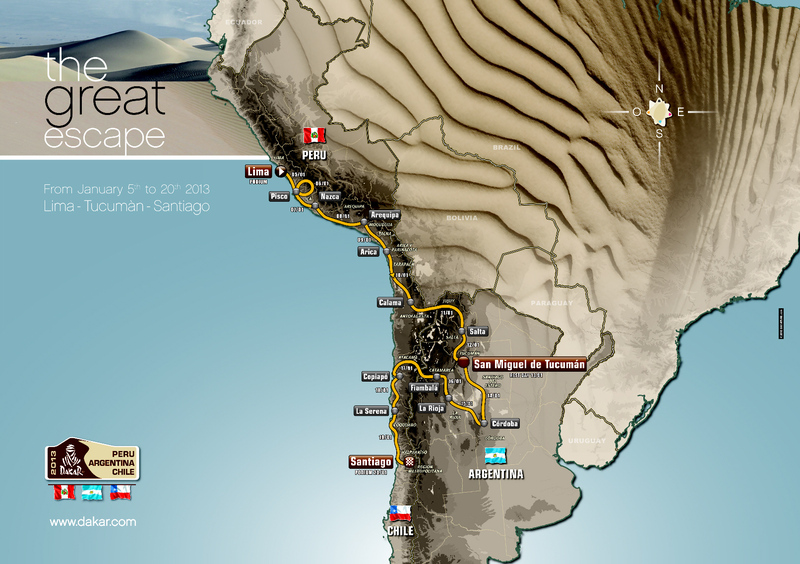 In the second half of the Dakar 2013, in the land of the gaucho, the Andes, crossing and re-entered into the desert. Chile: 4 stages plus the target. 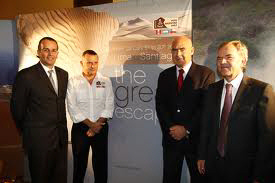 The Atacama desert in Chile, then is the great challenge to the participants until after the 14th then Last stage in the capital Santiago de Chile in the target arrives.